Another chance to win a great prize on our stand at BETT 2019. Guess the numbers of balls competition. The competition will run at the open of the BETT Show from Wednesday 23rd January 10am to Saturday 26th 4pm 2019. The winners will be notified on the 27th January 2019. 1. To be eligible for the competition you must be a school. 2. Must be a school based in the UK. 3. Open to members of staff at school only. 4. Entries must be submitted via the competition box provided on Stand D361. 5. Only 1 entry per person. 6. The winner of the competition will be the person with the guess closest to the actual number of balls in the tube. In the situation that more than 1 person guesses correctly the first drawn correct name will be the winner of the 40″ TV. 7. If any prize is not claimed by 16th February 2019, there will be a re-draw for the competition. 8. By entering the competition, you also consent to TASC Software Solutions Ltd contacting you in future with product information and news until you ‘opt out’ on email. 9. TASC Software Solutions Ltd reserves the right to amend or change any aspect of the promotion without prior notice and without compensation. 10. 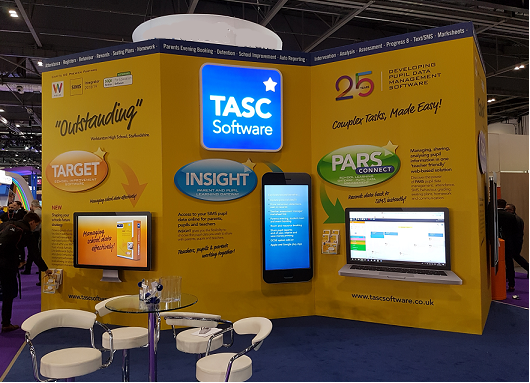 By accepting any prize from TASC Software Solutions Ltd, competition winners consent to the use of their full name and School name for advertising and promotional purposes without additional compensation except where prohibited by law. A photo of the prize on school premises with pupils will also be requested. 12. If you already use CURA, you will not be able to receive CURA free for a year however this can be exchanged for 1/2 day training. 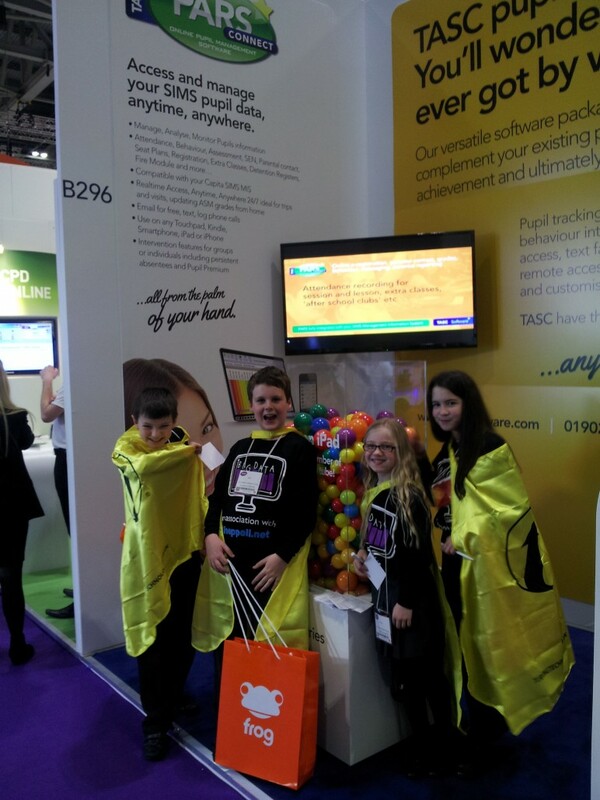 Come onto our Stand D361 and join in with the fun! We look forward to meeting you. BETT 2019 What a success!